Ek Main Aur Ekk Tu Synopsis and First Poster! 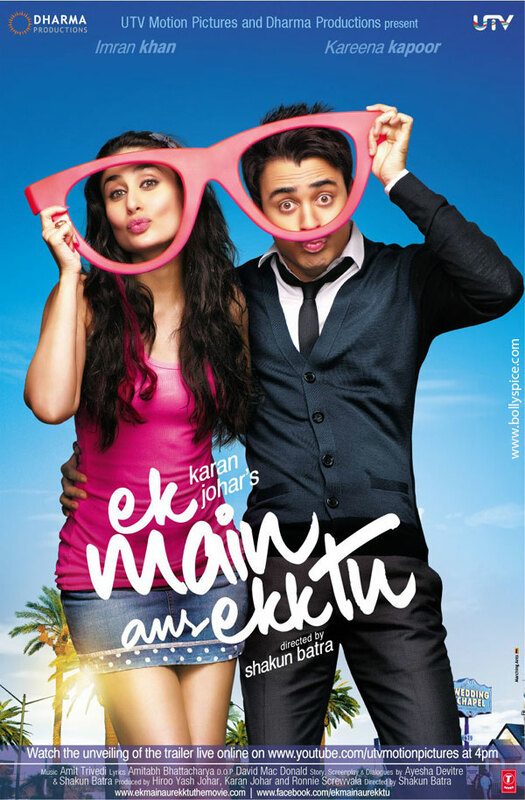 The upcoming Dharma Production of Ek Main Aur Ekk Tu is ‘a witty, feel-good, slice-of-life comedy’ according to Karan Johar. Directed by Shakun Batra, the film stars the new jodi of Imran Khan and Kareena Kapoor and will release in time for your Valentine’s date! We have two exciting exclusives for you: One is the story of the film! Oooh! And the other is the first poster! Cool! Rahul Kapoor (Imran Khan), 26, is on his way to become a carbon copy of his parents when he suddenly loses his job as an architect in Vegas. Afraid that he has let his parents down, Rahul decides to hide the truth and find another job. When by a twist of fate, he meets Riana Braganza (Kareena Kapoor), a quick-witted hairstylist, who is everything he isn’t. A series of events lead them to meet on Christmas eve over a few drinks… but like always, it’s never a ‘few’. Following this night of debauchery, they wake up to discover that they’ve gotten married. Now, Rahul has more than just his job loss to hide from his parents. Will this friendship turn to love? Will her warmth and fearlessness give Rahul the courage to face a long-simmering confrontation with his parents? Will a marriage that started as a drunken mistake help two people find themselves? We will find out in February 2012! Here is the first poster! If this wasn’t cool enough we have a third treat in store because later today will finally get to see the trailer for the film! WOW! Stay tuned we will bring you that exclusive as well!